With our VR Body Gallery, we are imagining new ways of presenting and exploring human anatomy. This time, by combining Virtual Reality (VR) with game design. 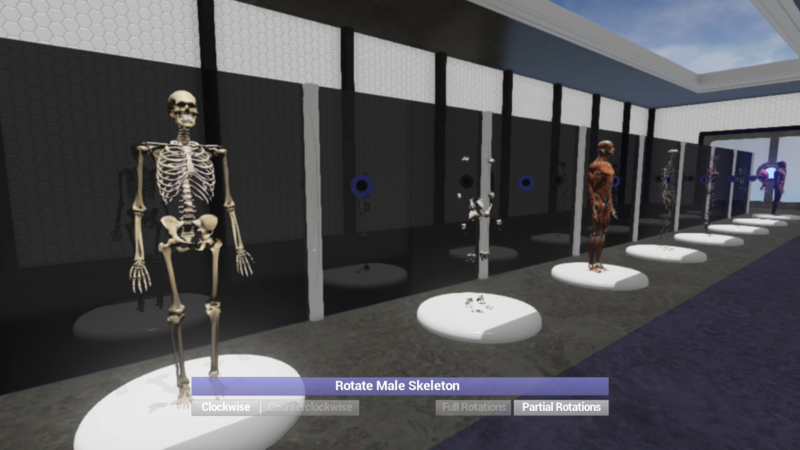 Nicole Ewert, a Bioinformatics student in the Bachelor of Health Sciences program, has created a virtual gallery to explore different body systems. Developed with Unreal Engine, a computer game design environment, Nicole has built a 3D world that is fun to explore. Just like in a normal gallery, you can walk up to each of the displays, mounted on rotating platforms. You can select specimens, explore the names of the anatomical structures, and dive deeper into some of the displays. For example, you can look inside the heart, the brain, the digestive system, or the respiratory system. You can see our VR Body Gallery in action at the LINDSAY Virtual Human video channelLINDSAY Virtual Human video channel. The 3D anatomy models are provided by Zygote Media Group. This is just a first step towards many more 3D virtual worlds we are going to build to display and explore the architectures and micro universes of the human body. Stay tuned!